Story by Milli Thornton. Feature photo © Liz Van Steenburgh. Don’t let your dream vacation turn sour. Pack natural remedies to help you avoid cold, flu, sinus infection or the discomforts of stomach bloat. Please consult your wellness practitioner before trying anything new for your health that you read about online. Don’t forget to follow all warnings indicated on medicine bottles of any kind, herbal or otherwise. IF YOU PREFER using natural remedies and avoiding pharmaceuticals as much as possible, you’ve already experienced how overwhelming it can be to have so many choices for quality health supplements. When you’re traveling and space in your luggage is at a premium, it can help to know which remedies really cut to the chase when you need them to. Such as that dreaded moment when you feel the first symptoms of a cold coming on. It’s also handy to know how to pack so your natural remedies won’t add too much extra weight or take up too much room in your suitcase. Even when you’re not traveling, most of these tips will help you at home. I keep all of these items in my medicine chest and pantry so I can grab them the instant I need them. Cold vs. Flu: What’s the Diff? Wellness Formula is a vitamin, mineral, herbal and antioxidant supplement that supports the immune system. The product description says it goes “deep to the root cause of body system imbalances.” This rings true to me, from my own experience. Using Wellness Formula at the first sign of a cold, I had not had a cold in years. Recently I went on vacation and forgot to take it with me. BIG mistake. I caught a cold and it hit me hard. I’d forgotten how horrible colds can be. The trick with Wellness Formula is to start taking it the minute you notice any symptoms. Keep taking the recommended dose until you’re sure you’ve avoided the dreaded lurgy. This one’s easy. You might already have a pill case at home. But is it big enough for the length of your trip? For instance, calculate the number of Wellness Formula tablets you’d need if you caught a cold on Day 2 of a ten-day vacation. If your pill case is not big enough for that many tablets (Wellness Formula tablets are rather large) as well as any other supplements you’ll be bringing, you might want to get a travel-sized pill case. GSE is a liquid concentrate made from the seed and pulp of grapefruit. It is known for its strong anti-fungal and antibacterial properties. I take it at the first sign of a cold—five drops in juice. One reviewer on Amazon said, “To me this is a first-aid kit in a bottle.” Check out the reviews on Amazon for tips from consumers on the many uses of GSE, including purifying water during travel. The taste is horrid. I take it in grapefruit juice because, for me, that works best to hide the taste. I use Maximum GSE because of its potency. GSE also comes in tablets, which you may prefer if you sufficiently abhor the taste of the liquid. Be sure to only use the authentic GSE. It’s not worth trying to save money on the cheaper brands. DrWeil.com states that a German study of six commercial grapefruit seed extracts showed that five of these products contained benzethonium chloride, a synthetic antimicrobial. If you’ve ever had a sinus infection you’ve probably been known to swear that you never want to go through that ever again! Well, here’s the way: Mezereum . Strange name, but I can attest to its effectiveness. I had never had a sinus infection in 48 years . . . until we moved to a city about an hour south of Cleveland, Ohio. I later heard that Cleveland is known to doctors as “Sinus Town” because of the number of sinus infections among its inhabitants. Anyway, was I in for a shock. Sinus infections are rotten, horrible and brutal. After catching two of them within a very short time, I vowed to find a way to avoid it ever happening again. If you’ve never had a sinus infection, how can you tell when you need Mezereum? Well, there’s a distinct “twinge” that starts up in the sinus cavity. Accompanied usually by sneezing. If you experience those two symptoms together, head for the Mezereum. Again, the trick is to pounce on it the moment you notice anything. And keep taking the prescribed dosage till you’re sure you’ve nixed the infection. Mezereum comes as tiny white pellets in a small plastic tube. Lightweight and small enough to fit inside your fist, there are no packing issues with this one. Have you ever eaten something on vacation that didn’t agree with you? I’m not talking food poisoning, just plain old discomfort: stomach bloat and pain from trapped gas. The kind that’s bad enough to decrease your enjoyment of your vacation. It can be embarrassing, too. During a summer vacation, something I ate gave me terrible stomach bloat and by the end of the day I could barely walk. My boyfriend found CharcoCaps in the pharmacy and they worked like a charm. I won’t be leaving home without these. CharcoCaps are lightweight and come in safety-sealed bubble packs, divided into doses of two capsules. Discard the box and the two 12-packs can be separated and will easily slide into side pockets in your suitcase. Each 12-pack is perforated, so if you’re going to a restaurant you can tear off four at a time and throw them in your purse or pocket. How many times have you avoided drinking water during a plane flight or road trip because you didn’t want to have to trudge down the narrow aisle to the cramped restroom or stop the car too many times to pee? Because your body will constantly be adjusting to change during travel, this is the wrong time to let yourself get even mildly dehydrated. 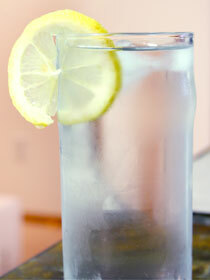 On an airplane, whenever the attendant comes around with the beverage cart, instead of ordering soda or alcohol, order water with a slice of lemon. In his classic book Back to Eden, Jethro Kloss says lemon can aid in “cleansing the system of impurities.” Lemon assists with digestion and provides potassium to nourish the brain. These are only a few of the benefits of spiking your water with fresh lemon, but you can easily google it to find out more. It’s not always convenient to carry the rigid plastic bottles of water that we all tote around—and these days airport security will not let you on the plane while carrying one. That’s when a collapsible water bottle—the type backpackers use—comes in handy. Check the official site to find out what’s OK to pack, what’s prohibited and what will be screened as you go through airport security. Happy, Safe and Healthy Travels! I hope you’ve found this article helpful. 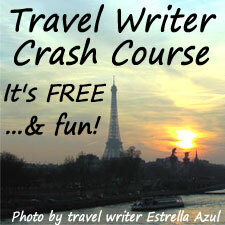 Next time you travel, if any of my tips help prevent loss of enjoyment during your trip, please come back and leave me a comment. I’d love to hear how you did! Milli Thornton (aka Milliver) is the author of Fear of Writing: putting the fun back into writing. She is owner of the Fear of Writing Online Course and Unleash Your Writing!, where her mission is to put the fun back into writing. 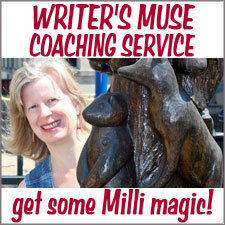 Milli blogs at Screenwriting in the Boonies and coaches writers at Writer’s Muse Coaching Service. Good advice! I always pack a few medicines, but I never thought of natural remedies. ….and you are 100% right about staying hydrated during air travel! Annie, I learned about natural remedies when I was a teenager so I loved writing about this. Glad it gave you some ideas. I just staved off a sinus infection last week by hitting the Mezereum the moment I felt the tell-tale signs. Love that stuff! Let me know if you try anything from the list. I always drink a lot of water…having to get up on a plane to “go” is really a good thing, as you should get up at least once during a flight anyway..
Betsy, that’s a great way of looking at it. The need for drinking water goes with the benefits of getting up at least once during a flight. Glad I could help with your packing list for the cruise! Let me know how it goes. 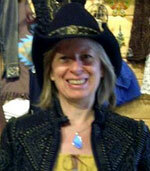 Teresa, I always enjoy hearing from a fellow alternative remedies lover. I’m thrilled you loved the article. Let me know if you get any noticeable results with anything I recommended. I’ve grown very fussy about what I will buy and use, and these are top of my list. Along with Bladderwrack (but that’s not an emergency travel remedy—just the one thing that keeps my PMS symptoms at bay).